romising to be one of 2015's most spectacular power displays. This may be sacrilege, but I ... ... it reminded me of this story told by the incomparable Buck O'Neil:"I heard Ruth hit the ball. I'd never heard that sound before, and I was outside the fence but it was the sound of the bat that I had never heard before in my life. And the next time I heard that sound, I'm in Washington, D.C., in the dressing room and I heard that sound of a bat hitting the ball—sounded just like when Ruth hit the ball. I rushed out, got on nothing but a jockstrap, I rushed out -- we were playing the Homestead Grays and it was Josh Gibson hitting the ball. And so I heard this sound again. "Now I didn't hear it anymore. I'm in Kansas City. I'm working for the Cubs at the time, and I was upstairs and I was coming down for batting practice. And before I could get out there, I heard the sound one more time that I had heard only twice in my life. Now, you know who this is? Bo Jackson. Bo Jackson swinging the bat." just got an email that, sadly, herb trimpe has passed away. 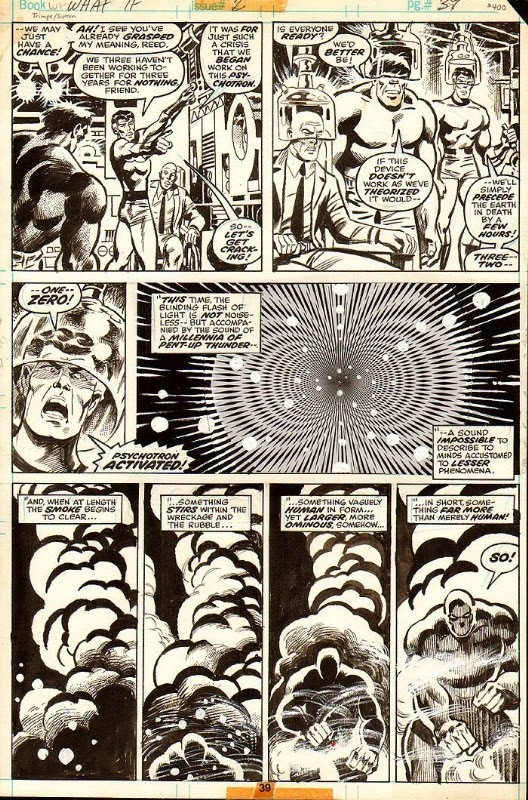 while kirby created the incredible hulk, it was herb trimpe's hulk pages that i read and collected as a kid, as well as spending an inordinate time trying to copy his drawings (which, of course i could never do). i will always think of trimpe's hulk as THE TRUE incredible hulk. he will be missed most certainly.